Welcome to Bizarro World. In less than a year in office, “President” Donald Trump has chosen an anti-climate-change believer to head the Environmental Protection Agency, a racist to oversee the Justice Department, an education novice to run the Education Department and, to be his drug czar, a congressman who several Drug Enforcement Administration agents say helped to aid and abet the increasingly deadly opioid crisis in this country. After a joint 60 Minutes-Washington Post investigation that culminated in both outlets releasing reports Sunday, several Democrats spoken out, including Sen. Joe Manchin (D-W.Va.), who called on the White House to withdraw the nomination of Rep. Tom Marino (R-Pa.) to lead the Office of National Drug Control Policy. On 60 Minutes, several former and current DEA agents and at least one former DEA attorney said that a bill Marino passed weakened the DEA’s authority to stop companies from distributing opioids, leading to a direct increase, they said, in opioid deaths. The Post reports that under Marino’s legislation, one company shipped 11 million doses of oxycodone and hydrocodone to a small county with just 25,000 people in Mingo County, W.Va., Manchin’s home state, which has been hit particularly hard by opioid addiction. “The legislation that Congressman Marino pushed has tied the hands of the DEA in their efforts to enforce our nation’s laws and ensure that these wholesalers and other industry actors alert authorities to these suspicious orders instead of simply profiting from them,”Manchin wrote Monday in a letter to President Trump. 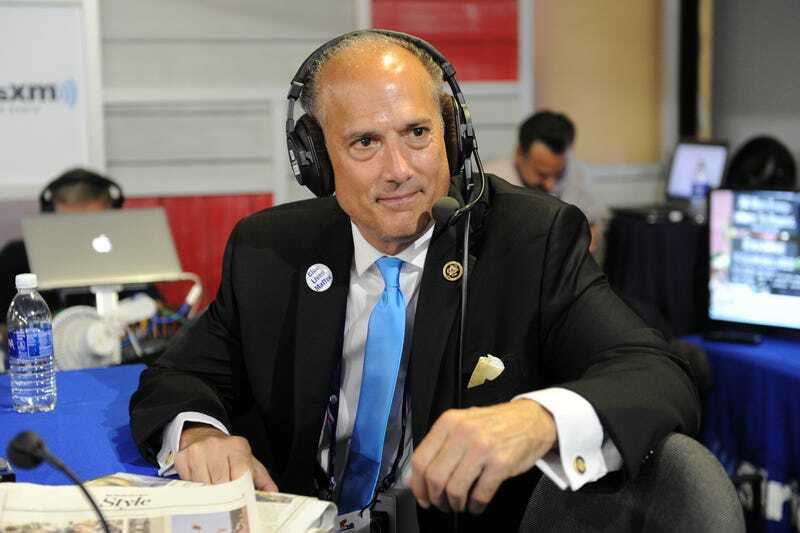 “His advocacy for this legislation demonstrates that Congressman Marino either does not fully understand the scope and devastation of this epidemic or ties to industry overrode those concerns. Either option leaves him unfit to serve as the head of the ONDCP,” the letter read. One former senior DEA agent, whistleblower Joe Rannazzisi, who was interviewed extensively on 60 Minutes, says that he was pushed out for speaking out against the Marino bill during a congressional hearing. Soon after, Rannazzisi was stripped of his role of supervising more than 600 agents, and eventually resigned. Meanwhile, the opioid epidemic has claimed 200,000 lives in the last two decades. The White House formally nominated Marino for the drug-czar post in September, but the Senate Judiciary Committee has yet to set a date for his confirmation hearing. If his nomination moves forward, Marino could be confirmed by the Senate with a simple majority vote. On Monday afternoon, Trump said that he would “look into” the investigative reports. Read more at CBS News and the Washington Post.